"While the American West gets so much of the love when it comes to adventure, the underappreciated South lays claim to an abundance of whitewater. And it’s not just the rapids that make paddling here so special. A paddling culture has grown up down South, highlighted by big events such as the Gauley River Festival in West Virginia or facilities like the U.S. National Whitewater Center in Charlotte. 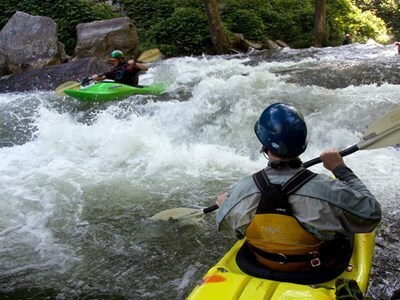 The heart and soul of the South’s whitewater scene, however, is the Nantahala Outdoor Center (NOC), tucked up in the deep, wooded folds of the Appalachians."